Home » Readers » How to Encourage Readers to Follow Your Blog? 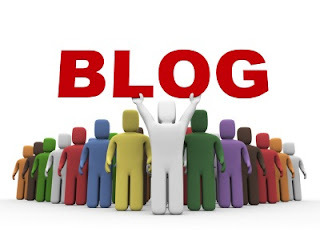 A blog doesn’t get to have a solid readership base without any real effort from the blogger. Encouraging people you don’t personally know to follow your blog requires some basic work and preparation. Once they are in place, increasing viewership is attained more quickly. The first requirement is almost like a mantra for every blogger. This is to provide quality and relevant content. If you don’t have this or do not intend to follow through on this, then other follower-building efforts will be useless in the end. You do not want a one-time visitor only hence the frequency of visits would determine who among your readers constitute your loyal following. The next requirement is to network effectively with other blogs. Refusing to do this is saying no to the growth of your blog. You will need others to participate and provide activity in it or else risk stagnation. Networking should not be interchanged with spamming and other abusive practices. It is a matter of respectful reciprocity where the objective is to provide benefits to the parties participating. Another requirement in establishing a solid following for your blog is to know how to use the power of social media to your blog’s best advantage. Social media platforms provide the audience numbers and range. The only remaining issue is how to effectively tap these valuable resources for the good of one’s blog. For a blog’s excellent contents to reach a wider audience, a blog should be made interactive to facilitate networking and tapping of social media resources. Providing a comment function can be ideal for most blogs. It allows bloggers to have a more personalized conversation with readers by responding to comments. Inviting friends whether real life or online, to visit your blog also works to increase regular viewership. Good results are not expected to happen overnight.